Visit this beautiful three bedroom and two and a half bath that is located just steps to the beach in North Mission! The first floor offers the Master bedroom with one king bed, ceiling fan, and private deck. Also located on the first floor are the living room and dining room with comfortable seating, two ceiling fans, and futon couch. The kitchen is located directly off the dining room and features a breakfast bar. The second floor has the second and third bedroom each with a Queen sized bed. 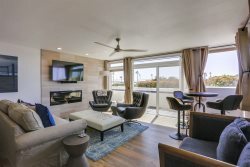 The family room is also located on the second floor with two additional futons, flat screen tv, and large sliding glass doors out to the second private deck. 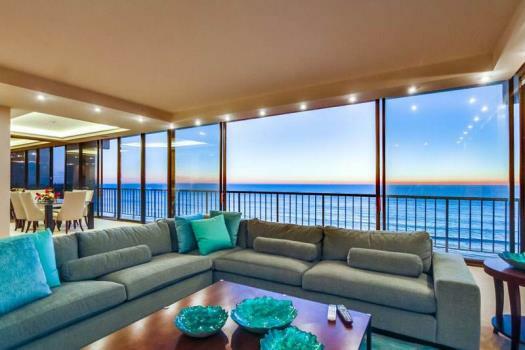 This gorgeous rental has partial ocean views, washer/dryer, and BBQ. Parking: 2 car garage. Maximum 8 guests, non-smoking.